Thinking of doing this. It's probably for the long term, little by little every sale. Anyone here do it succesfully? Or is Ebay and Amazon's monopoly on traffic just that good? 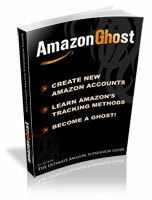 Re: Have u all been able to succesfully divert Ebay/Amazon traffic to your website? Your idea is quite interesting but what I think is ebay/amazon will not allow you to divert it or if you get success to divert it people will not buy from your website. Personally I throw all of those business cards from sellers inside shipments directly in the trashcan. Did try sending out leaflets with each order a few years ago probably got a few sales from it but like phaz0rz said 99% of buyers just through away any leaflets. the clue is to offer something more interesting on your website than the offer on amz/ebay. As they are online buyers, business cards will not works well, you have to find the way to contact them by email or messages on the marketplace , so they just have to click on the link to go on your website. Offer a coupon code up to or less than your EB+PP fees on a business card so you can track who uses the code. Doing this personally nets a profit each month after the monthly website fee and the cost of printing business cards (not a lot). Some website builders will offer a discount on the monthly fee after being a user for a year+. Gotprint has the lowest prices for cards hands down. If you're serious 10,000 will cost you $150 with shipping. I figure as long as it's all worth it to you SEO will build up naturally over time. Paid ads is a complete wash but does bring in more clicks than you'll get anywhere else + a few sales here and there. And don't be one of those guys who puts hard candy in as well. No one eats hard candy from a parcel. LOL... Never heard of getting candy in a parcel. I do like what they were going for though, something cool and different. I spray air freshener before sealing some of my packages and it does stay in the box until it is opened which customers have commented on. As for your best prices for cards hands down... I stand by the fact that EVERYTHING is ALWAYS cheaper on eBay. At the moment I am seriously looking into but have not yet tried to divert traffic from my eBay accounts to my own website yet. But I do recall Aspkin mentioning in his book that this is something that will take time and may never be as big as your eBay or amazon accounts. It can become a decent income stream on a platform you control.. FYI if you get a ShipStation account it will provide you with name, phone number and email link info of all your customers.. I’m thinking I should be able to send an email or text message blast to all of my customers offering a discounted price with one click.. anybody have any experience with this method? That way I can avoid putting cards in each package or do both. shipstation doesn't work with Amazon though, as far as getting customer's contact info that is. Can do this with Mailchimp attached to a PP account. Adds all new order email addresses to a mailing list, then you get a certain # of free emails every month for unpaid service. Emailing spam without the recipient's consent violates privacy laws, so if the email(s) get reported Mailchimp will suspend their service to you. Not a problem with a new IP I guess. You just need multiple IP's and an ISP thats eager to take your money. Jk, don't do that - but if you really really wanted to, its an avenue. Maybe transfer with your different ip country? Paypal hides buyer's emails now. How can you find their emails to do marketing?